QiQ offer free SSL/TLS Domain Validation (DV) certificates automatically with all new hosting packages, providing the trusted padlock icon and HTTPS in the browser address field. The DV certificates feature a 90-day certificate which is automatically renewed upon expiry. Free certificates are being activated for all existing hosting accounts but in some instances (particularly hosting accounts created prior to 2013) may require a site to be relocated to an alternative server. For details on the best way to secure a site with SSL, this Google resource may be of help. If you prefer a QiQ technician install your SSL certificate, please complete the order process below. The price you see is the price you pay for a fully installed and functional SSL certificate. QiQ’s AlphaSSL certificates are great value for sites of all sizes. There are no hidden support fees, no cross selling to other software, domains or hosting. Our Certificate application process is quick. There is no paperwork, no faxes and no phone calls are needed. AlphaSSL Certificates are recognized by all popular browsers and mobile devices. Our Certificates are issued from the 2048 bit GlobalSign Root Certificate – one of the longest operating and most trusted Authorities in the world. You will also receive 256 bit encryption strength between your customer and your website – the strongest in use today. 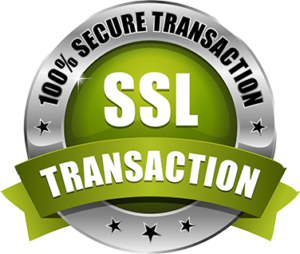 AlphaSSL Certificates display the secure SSL padlock icon in all popular web browsers. You will see two techie terms being used in the SSL industry – Root Strength and Encryption Strength. Root Strength is the strength of the cryptographic keys used to the issue your Certificate, and Encryption Strength is the strength of the encrypted link between the browser and the server. In both cases AlphaSSL is as good as it gets – 2048 bit root strength and 256 bit encryption strength. You won’t find stronger security at this price anywhere else. AlphaSSL has fully automated the Certificate application and issuance process. Just place your order and the whole process should only take a few minutes. No paperwork is needed and you can get a fully trusted SSL Certificate for your site quickly and easily without the hassle or the high prices.